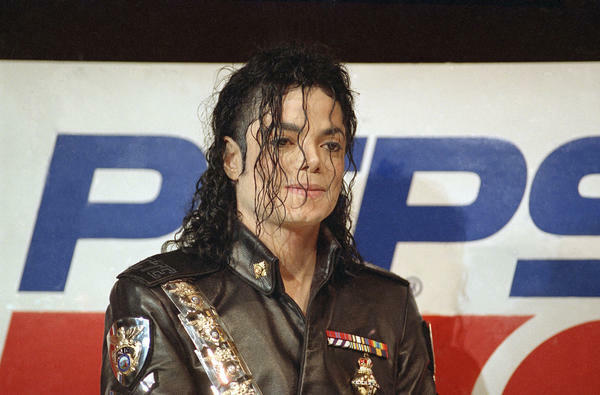 Michael Jackson appears at a news conference in New York in 1992, where it was announced that a marketing agreement had been struck between Jackson and Pepsi-Cola International. We take black mega-celebrity endorsers as a given today — Michael Jordan, Oprah Winfrey, Beyonce, the husk that was once Tiger Woods. They wield a perculiar kind of agency that seems to continually reset the upper limits of black aspiration, while remaining more or less incidental to the median black condition. It wasn't always so. In the 1960s, when the Supremes were one of the biggest acts in show business, the trio wasn't making a lot of money endorsing products made by big companies — or, at least, not endorsing those products to "mainstream" (read: white) audiences. Coca-Cola, to use one prominent example, only placed ads featuring the Supremes on black radioGene let's put a source on this — these ads are all over YouTube — i just linked to one. Let's make sure (even if it needs a call to Coke, to confirm. I'd hate to get a letter from them saying "we put these all over top 40 radio" or something, so worried was the soft drink giant that the trio might (somehow?) turn away white consumers. That line of reasoning held sway for a long time, until people like Tom Burrell helped dislodge it. Burrell, the subject our latest episode of the Code Switch podcast, was a pioneer — one of the very first black men in advertising. His hire for a job in an agency's mailroom was considered so risky that the company's CEO had to be called in from vacation to sign off on it. 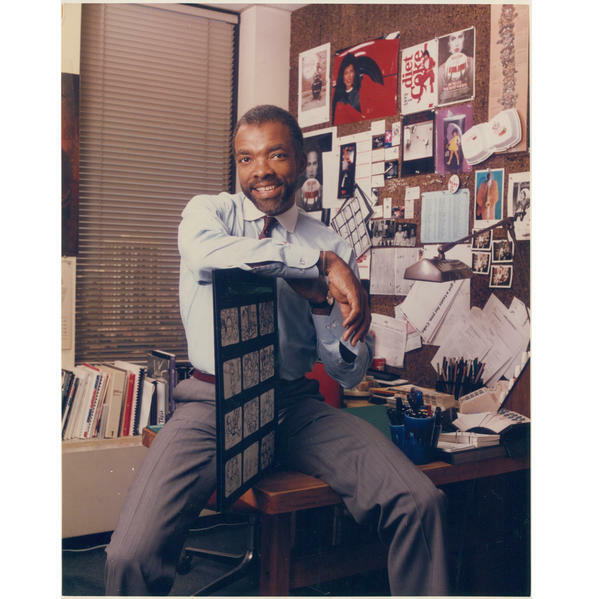 Because Burrell was a black man climbing the corporate ladder in the 1960s, he saw his work as part of a larger project. Burrell understood, too, that he wasn't just selling burgers for McDonald's, but politics: His ad campaigns were always informed by his belief that they should portray black folks in the most affirming light. Today we call this "respectability politics," the practice of using "positive" portrayals to counter unflattering stereotypes as a way to further racial equality. There are lots of valid critiques of this line of thought: for example, is discrimination against black people who are less "respectable" somehow more justified? But it was in step with the mores held by many folks of that era. And it's a reason so many images of the civil rights movement show protesters in dresses and crisp shirts and ties -- their appearances beyond reproach. It was a play, by activists, for the hearts and minds of the broader public. Sonari Glinton, a business correspondent at NPR, brought us Burrell's story. He says Burrell changed how advertisers thought about who they could sell to, and who their audiences might buy from. As Sonari and I talked, we couldn't help but note that the first shining exemplars of the beloved, crossover black pitchman — O.J. Simpson and Bill Cosby — are also seen by an awful lot of folks today as supervillains. A key to understanding the robust support those two men still enjoy in some places is remembering that their particular celebrity always carried a different gravity than that of their white contemporaries. It was never just Pudding Pops, then, but politics: Simpson and Cosby became famous when being black and on America's TV sets was a novel and subversive notion, even a dangerous one. That doesn't, and shouldn't, make those men any more sympathetic. But it might shed light on those who still vocally defend them. They were not only selling products but a kind of aspirational black America --- to black folks and white. Those ads cemented their images as paragons of that black America. This is especially the case with OJ, who was more a blank slate than the Bill Cosby America knew (or thought it knew) through his albums and his television shows. The squeamishness about black pitchmen as the face of "mainstream" ad campaigns lingered even after Burrell (and yes, Cosby and Simpson) terraformed the marketing landscape. Decades after the Supremes' heyday, in the Cola wars of the 1980s, Coca-Cola offered Michael Jackson — by then, on his way to becoming the biggest and most ubiquitous celebrity in the world — a $1-million dollar endorsement deal. But it envisioned a "targeted, ethnic campaign," recalled Jay Coleman, a businessman involved in the negotiations, told Billboard in 2009. Jackson passed, and instead, inked a then-record endorsement deal with the competition: Pepsi. That deal spawned Pepsi's inescapable "New Generation" campaign that ran for nearly a decade on primetime network TV; Pepsi's sales and market share climbed. Meanwhile, Coke's fell, all while being implicitly cast as the preferred soft drink of out-of-touch fogeys. The campaign also served as an inflection point, the moment in which it became clear that corporations might benefit more from their proximity to a black star than the other way around.